On the frontline of the opioid epidemic, doctors aim to prescribe opioids in a safe and responsible manner. Researchers in the Department of Dermatology at University of Utah decreased their prescription of opioids by 23 percent following skin cancer surgeries compared to almost a decade ago. The results of the study are available online in December 2018 issue of the journal Dermatologic Surgery. Mohs micrographic surgery is the practice of removing skin cancers typically on the head and neck. Skin is removed around the narrow margins. The surgeries may produce pain and require analgesics. Recent studies show that opioid addiction can begin after completing only a five-day course of pills. Keith Duffy, MD, and his colleagues were curious how prescribing practices have changed at U of U Health since 2010. In a 2010 study, researchers at U of U Health found that the Mohs micrographic surgeons, performing surgery primarily for basal cell carcinoma, squamous cell carcinoma, and melanoma, prescribed opioids to 35 percent of patients. On average, these patients received 10 pills to accommodate pain following the surgery. A follow-up study in 2011 found the 86 percent of patients that filled these prescriptions did not finish all of the pills and in addition lacked information on how to safely dispose of the excess medication. It was estimated that up to 1,800 pills per year could be left in medicine cabinets for potential misuse or abuse. In the current analysis, the researchers performed a retrospective analysis of how four micrographic surgeons prescribed for 100 patients each between February and May 2017. They found that opioids were prescribed for 13 percent of patients, a decrease by more than 20 percent. In addition, the number of pills in a prescription decreased from 10 to nine. 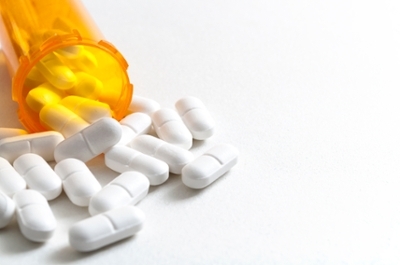 The study shows that opioid prescription is more common for younger patients as well as patients whose procedure require multiple surgical stages that often result in a wider, deeper incision and more complicated reconstructions. According to Duffy, opioids should not be prescribed when over-the-counter analgesics, like acetaminophen or nonsteroidal anti-inflammatory drugs, are effective. In addition, opioid prescriptions should only span the number of days of projected post-operative pain, typically two to three days. Duffy believes these results show the power of peer comparison studies that can lead to a reduction in opioid over prescription, reducing potential for misuse or abuse. While the study provides a brief overview of four prescribing surgeons, it did not account for patient behavior. Patients may request medications or have a history of on-going chronic pain or substance abuse. In addition, this study did not evaluate whether patients filled and finished prescriptions. Duffy was joined in this study by Jessica Donigan, Gregory Stoddard, Amanda Hedderman, Payam Tristani-Firouzi, Glen Bowen, and Eric Millican at U of U Health and Abigail Franco at St. Joseph’s Hospital Health Center in Syracuse, N.Y.
Microsurgeries can be extensive. 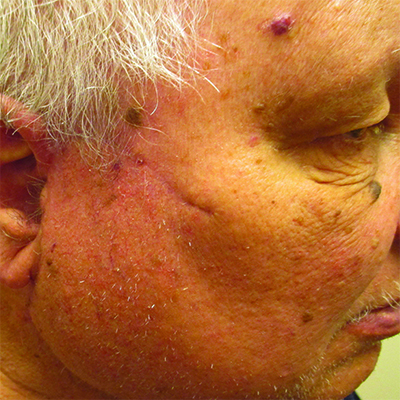 The series of images show a) the mole to be removed; b) the removal of a mole; c) sutures following surgery; and d) a healed patient.